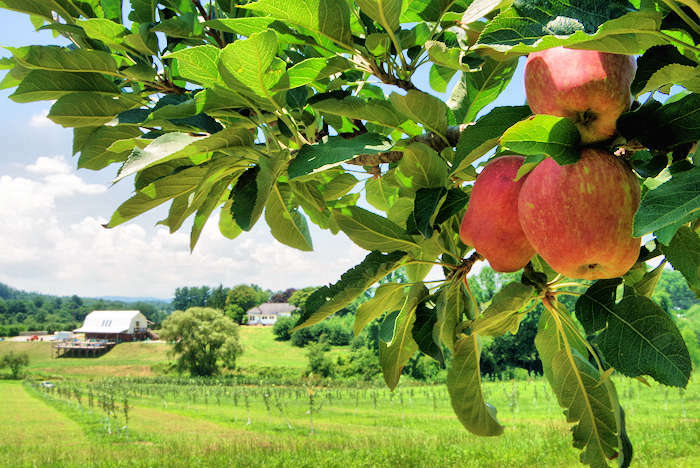 Since the Hendersonville area is known nationally as "Apple Country", it's only natural that its becoming one of the top places for craft hard cider. In fact, it's the 7th largest apple-producing county in the country! 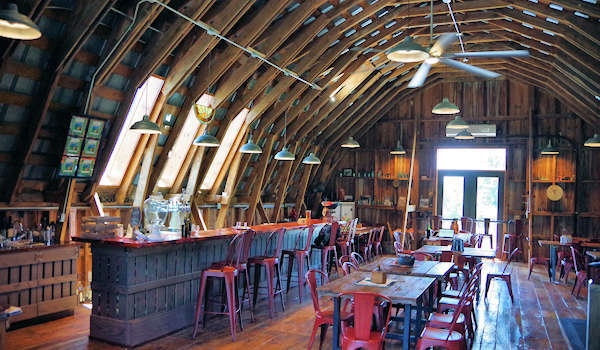 Visit three cideries that offer very different flavors and "orchard-to-bottle" experiences. Trips to the orchard farms in late summer and fall each year have been a tradition for decades. You can visit the cideries year-round, all located a short drive short from Asheville. 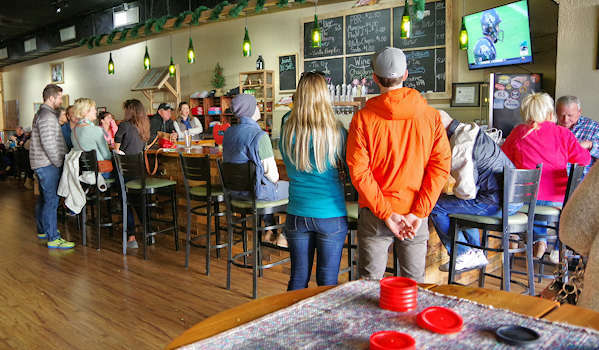 Appalachian Ridge Artisan Ciders (749 Chestnut Gap Road, Hendersonville) held their grand opening in July 2018. They are our top pick for their passion and old-world approach to cider making. Their converted historic two-story barn is surrounded by an orchard with 14 varieties of French apple trees (both photos above). Learn about their Normandy-style cider making. All of their apples are grown, pressed and bottled on site. The big outdoor deck overlooks the orchards that include apple trees recently transported from France. Try their Brandy and Pommeau too. Take home six ciders only available at their location. Their small batch ciders are not sold elsewhere, so stock up! Live music on weekends. Bring a picnic. Bike or hike through the orchards (loaner bikes available). Also visit their nearby winery, St Paul's. Coffee shop downstairs. Open Monday-Friday 12-6 PM, Saturday & Sunday 12-7 PM. Bold Rock Hard Cider (72 School House Road, Mills River, NC) is located between Asheville and Hendersonville - photo at top. 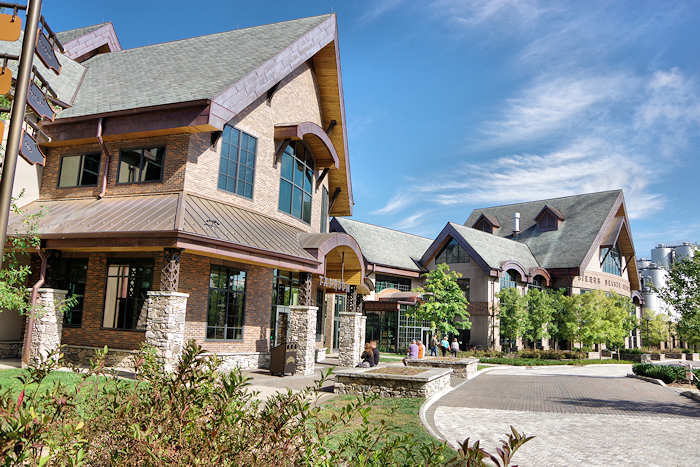 In just a few years, it has become the largest craft cidery in the United States. 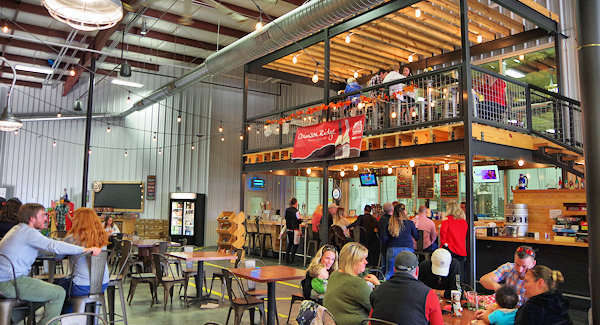 Its rural setting has plenty of room with an impressive taproom, daily tours of production floor, garden picnic area, outdoor music venue and on-site food truck that serves barbecue and Southern fare. Sample eight seasonal ciders including the Rosé, Pear, Peach, IPA and Carolina Apple. They have special happenings every night of the week, including live music Friday-Sunday. Hours vary seasonally. For most of the year, they are open Mon-Wed, 1-9 PM, Thurs-Sat 11:30 AM-10 PM, Sunday 12-9 PM. It's 20 minutes from downtown Asheville. Flat Rock Ciderworks (305 North Main Street, Hendersonville) is a popular tasting room on the busy downtown street. Try 5-7 of their ciders including flagships Wicked Peel and Blackberry Gold, all made from handpicked apples and blackberries from their nearby farm. Open Thursday-Sunday afternoons during fall, winter and spring. During the summer, open Wed-Fri 12-10 PM and Sunday 1-6 PM. Visit three nearby wineries (Saint Paul Mountain, Point Lookout and Burntshirt)! 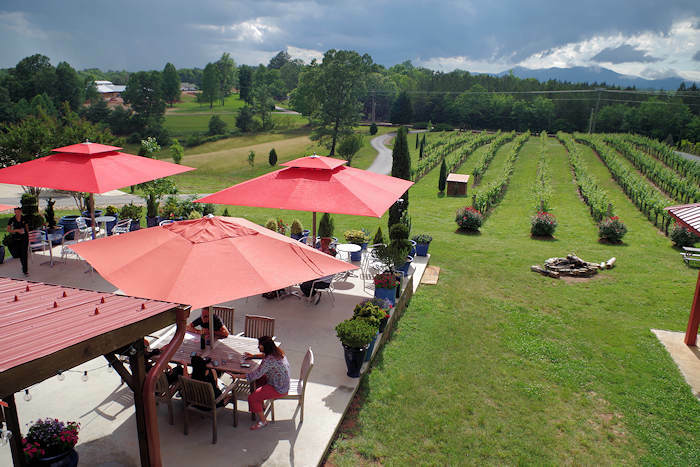 See our Hendersonville Winery Guide for more. Hendersonville has a great map to help you also find breweries, cideries and wineries. Pick one up at their Visitor Center in downtown Hendersonville at 201 South Main Street. Order their free Visitor Guide below. 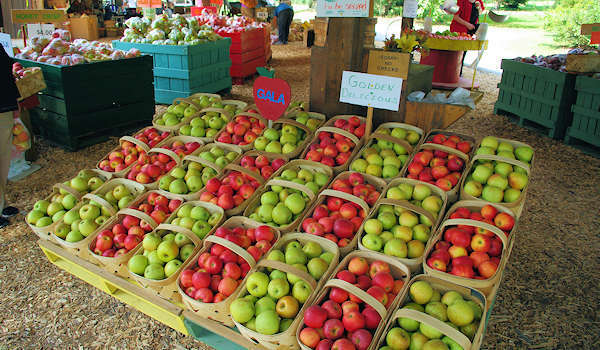 Apple Orchards: See our favorite stops in late summer and fall to get fresh apples nearby.